What’s the secret to great sounding productions? Starting with great sounds. That’s why we’ve packed KOMPLETE 12 SELECT with cutting-edge synths, high-impact drums, realistic keys, and essential creative effects – everything you need to kick off your musical journey. Heavyweight synthesizer combining analog architecture with wavetable synthesis. Perfect for heavy basses and piercing leads. Uncompromising software version of the holy grail of analog monosynths. Every nuance has been meticulously studied to recreate the spirit of this legend in definitive detail. First-of-its-kind drum laboratory. Combine 38 pristinely sampled acoustic drums with 80 synthetic layers for a punchy electronic edge – all from one intuitive interface. PHASIS combines timeless phasing effects – adding movement, soul, and creative magic to any signal – with powerful new features for never-heard-before results. Classic piano that delivers balanced tone, a wide dynamic range, and a beautiful, lush sound. Your new standard vintage upright. Two studio-quality delays and a powerful diffusion algorithm in a sleek interface. Vibrant percussion and enchanting melodic instruments plus an intuitive pattern sequencer. Play djembe, dunun, bells, and more – solo or as polyrhythmic ensembles. The sound of an iconic electric piano, beautifully sampled and perfectly preserved in all its brilliance. No producer’s palette is complete without classic organ sounds. Based on high-quality recordings of 50s and 60s tonewheel and combo organs, VINTAGE ORGANS is full of charm and character. Unique and highly responsive polyphonic modal synthesizer capable of everything from hard basses and shimmering leads to organic soundscapes, percussive keys, flutes, and bells. Inspired by a legendary bus compressor from a famous British console. Delivers power and punch without sacrificing clarity. 16 legendary vintage instruments from the 70s and 80s, lovingly sampled and refined. Retro analog sound with all the benefits of modern software technology. KOMPLETE 12 SELECT includes REAKTOR 6 PLAYER and KONTAKT 6 PLAYER, plus the new KONTAKT 6–powered ETHEREAL EARTH Play Series instrument. 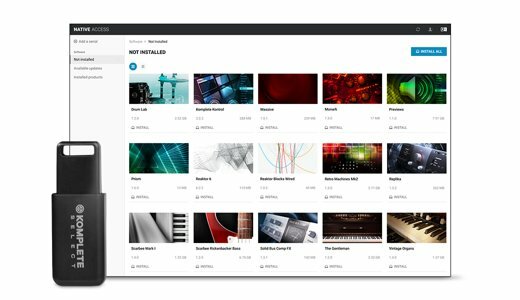 KOMPLETE 12 SELECT also comes with a complementary 25,00 € voucher for you to spend in the NI Online Shop. KOMPLETE 12 SELECT comes with three Expansions sound packs, hand picked-for a broad range of essential production-ready sounds. Each Expansions is loaded with genre-specific synth presets, drum kits, one-shots, samples, and loops. 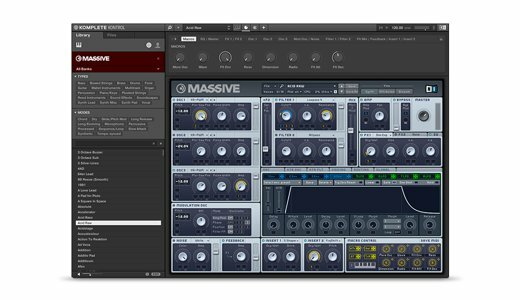 Created by top artists and sound designers, Expansions can be used in any DAW, and work with a range of Native Instruments products. Tap into the sound of future soul with sultry melodies, liquid atmospheres, and forward-thinking rhythms that blend the deep musicality of classic soul with the cutting-edge production of contemporary urban styles. Sparse found-sound percussion melds with polished synth grooves, sub-bass drones, and pulsing synths for an authentic homage to the atmospheric, ethereal techno of contemporary Berlin. If you choose a physical copy of KOMPLETE 12 SELECT, all of your instruments, effects, and additional content comes preloaded onto a pen drive. Choose a download version, and your software becomes available right away via Native Access – your one-stop hub for easy product installation, registration, and updates. It’s not easy to make sense of over 7,000 sounds. That’s why KOMPLETE 12 SELECT comes with KOMPLETE KONTROL – a handy plug-in that makes light work of browsing through all your instruments and effects, whether using NI hardware or your mouse and keyboard. And since each instrument preset comes with an audible preview, you can audition all your sounds without waiting for extra plug-ins to load.